Before there could be nighttime fliers, there had to a way to navigate in the dark. Bats are active at night and they often inhabit darkened areas such as caves or the inside of hollow trees. Echolocation is an adaptation for navigating in visually limited environments. There are other mammals that employ echolocation, including various marine mammals and possibly members of the order Insectivora such as shrews. There is also some suggestive evidence that the colugo, a nocturnal glider, has some form of echolocation. Marine mammals such as whales and dolphins move through a medium that transmits light very poorly. The water they swim in is often obscured by murkiness from plankton and other suspended particles. At depths greater than 656 ft (200 m), a routine diving depth for marine mammals, the surroundings become completely dark. The shrew is a terrestrial mammal with tiny eyes and presumably poor vision. They are active at night. Shrews are fossorial, i.e., they burrow, dig, and forage in the leaf litter of wooded areas. Consequently, they also occupy a visually limited environment. It should also be pointed out that only two bird species are known to echolocate. Oilbirds are nocturnal and inhabit caves. The other, the Asiatic cave swiftlets, frequently fly in dark caves. Birds have been part of the terrestrial fauna for at least 150 million years. They fill the available diurnal (daytime) flying niches. By the time bats appeared in the Eocene, birds were completely developed and no latecomer mammal would have been able to out-compete them in the daytime. Bats most likely descended from small nocturnal insectivorous mammals. Therefore, protobats were already in the nocturnal niche when there was an opening for a nocturnal flier. However, flying in the dark can be dangerous. In addition to the open nighttime environment, most bats roost in caves or inside hollow trees, which are darker environments than outside. There is also the danger of mid-air collisions with other bats. Consequently, before nocturnal flying could be feasible, some way of avoiding obstacles had to evolve. Of course, there is no way to know when echolocation actually evolved in bats. However, it had to be very early in their development. As mentioned previously, shrews have a crude form of echolo-cation, and shrews and other insectivores are often cited as a mammalian rootstock. If so, it is not unreasonable to suggest that echolocation developed sometime before flight. It was the Italian physiologist Lazzaro Spallanzani who first experimented with obstacle avoidance in bats and owls in the eighteenth century. He discovered that owls would not fly in complete darkness, but this did not deter bats. He hung wires from his ceiling with small bells attached. Bats could fly throughout his study and never jingle the bells. When he blinded the bats, again they did not touch the wires. He finally inserted brass tubes into their ear canals. This was observed to impair the bats ability to avoid the wires. Spallanzani was still baffled. No sound came from the wires while they were simply hanging. Nevertheless, he attributed the bats' ability to avoid the wires to keen hearing. Of course, he was not able to hear the high-pitched sounds that the bats were actually emitting. 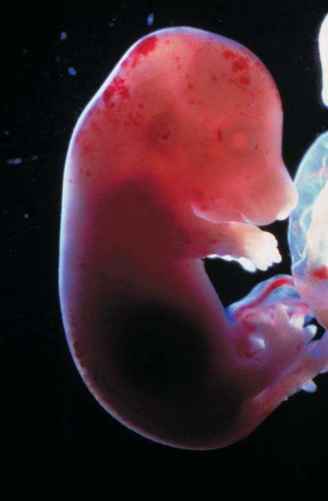 In the 1930s, the first microphone capable of detecting ultrasound (beyond the hearing of humans) was produced. American zoology and comparative psychology student, Donald Griffin, prominent in the 1980s for his work on animal cognition, found that placing one of these microphones in the middle of a group of quiet bats suddenly changed these relatively quiet animals into loud chatterboxes. At about the same time, the Dutch zoologist, Sven Dijkgraf, who had very keen hearing, discovered that he could hear sounds coming from Geoffroy's bat. When he placed muzzles over their jaws, preventing the emission of the sounds, these bats became dis oriented and crashed into objects. From these discoveries, early researchers were able to gain some understanding of the mechanisms of echolocation. However, to date, the details of detection and interpretation of these signals by the bat are still a very active area of research (e.g., the bat project at the Auditory Neuroethology Lab at the University of Maryland, College Park). Echolocation in bats results from the production of a high-pitched sound by the larynx and emitted through either the mouth or the nostrils. Often, the nose has been modified into a nose leaf, a fleshy process on the upper snout, which helps direct these sounds. Sound waves travel until hitting an object and bouncing back. The pinnae (external ears) of bats are large, highly modified structures designed to receive the returning signal of the bounced sound. The tragus is a small flap located in front of the ear canal. It acts as an antenna and allows the bat to discern the direction from which the sound is coming. Different species of bats utilize different frequencies. Individuals of the same species will alter their frequencies slightly to prevent confusion of signals that could lead to mid-air collisions. Echolocation is also used for foraging. In fact, echoloca-tion may have originally developed in a bat ancestor that was foraging in the forest litter. Bats can catch insects "on the fly,"
part of what makes them successful as nocturnal fliers. However, an evolutionary arms race exists because some moths have developed a defense against bat echolocation. They possess sound sensors on their thorax that enable them to detect the ultrasonic pulses being aimed at them by the bats. They then engage in erratic flight patterns in an attempt to evade the foraging bats. Some moths have even developed counter-measures. They produce sounds directed at the bats that seem to deter them. It is possible that these sounds are jamming the bats' echolocation in the way that aluminum foil was used to jam radar signals during World War II. One group of bats is notable for not having echolocation. 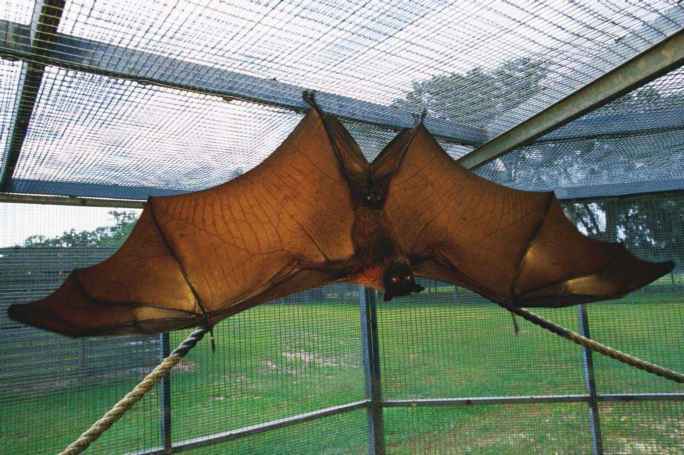 These are the large flying foxes and fruit bats (Megachi-roptera). These bats depend on vision during activity under low-light conditions at dusk and dawn, a cycle referred to as a crepuscular activity cycle. They are also active during all moon phases, except the new moon when there is no moonlight. Megachiroptera lack the large pinnae and elaborate nose leafs found on the echolocating insectivorous bats (Microchi-roptera). There is one exception: rousette bats that roost in dark caves (which is unusual for a megachiropteran) use a form of echolocation in which they produce sounds by slowly click ing their tongue. This is different from microchiropteran echolocation. 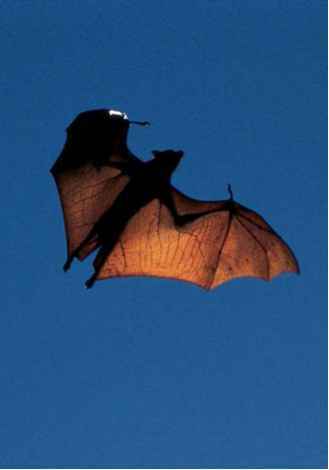 Although echolocation is not necessary for flight in itself, it is a required adaptation for fliers who travel in pitch-black darkness.